A reality show "Wanna One Go" Season 2 will be broadcast next month, cable music channel Mnet said Tuesday. Following up on the 2-episode program aired in August, the show features the ordinary life of the 11 winners of the popular audition program "Produce 101." 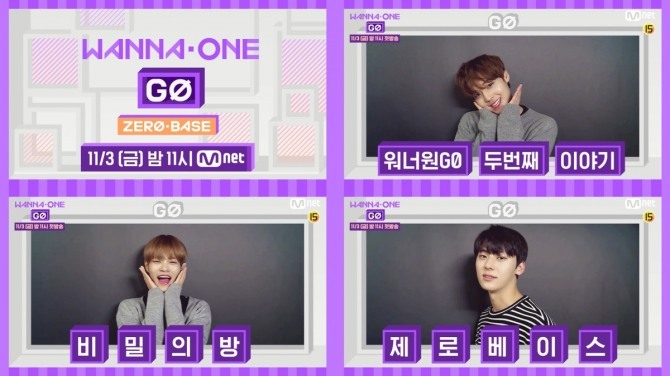 The upcoming "Wanna One Go: Zero Base," consisting of 8 episodes, will have more interesting content and behind-the-scene stories about the project boy group, the channel said.